All eleven solid-colored chutes are fabricated from spectacularly vibrant ripstop nylon, but the material properties can vary from color to color. All colors except Hawk Camouflage, Midnight Blue Jay, and Featherweight Yellow are constructed from 1.7 oz single-calendered ripstop nylon. Hawk Camouflage and Midnight Blue Jay have a polyurethane coating. Featherweight Yellow is constructed from thin mill 1.1 oz nylon ripstop, which fits well inside narrow BT-50 body tubes (e.g. 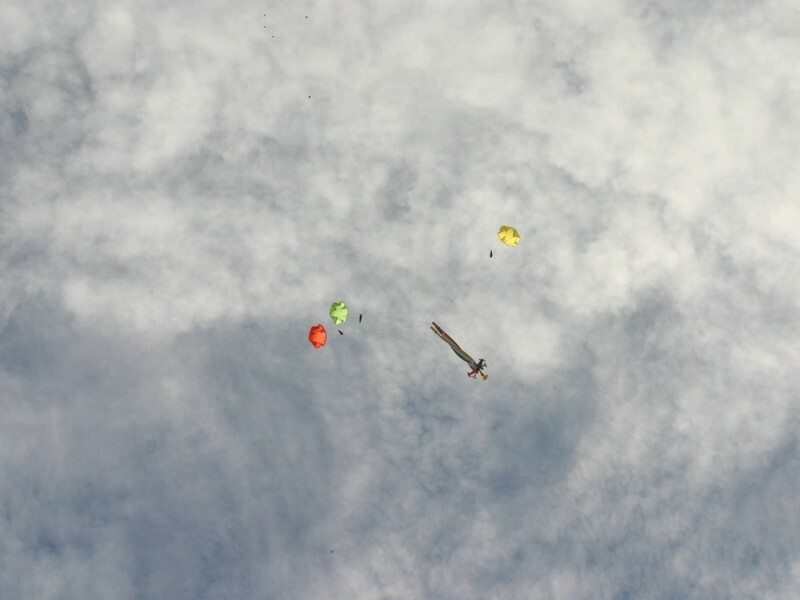 Estes Alpha). Feelin' groovy? 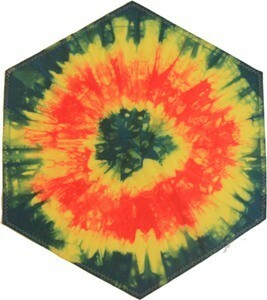 We offer two styles of tie dyed parachutes. 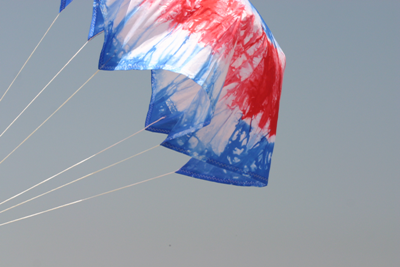 Due to our dyeing process, the prices are slightly higher than for solid-colored chutes, but each chute is unique! 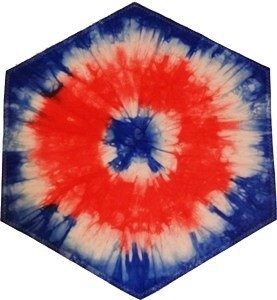 Tie dye chutes are only available in 12", 18", and 24". 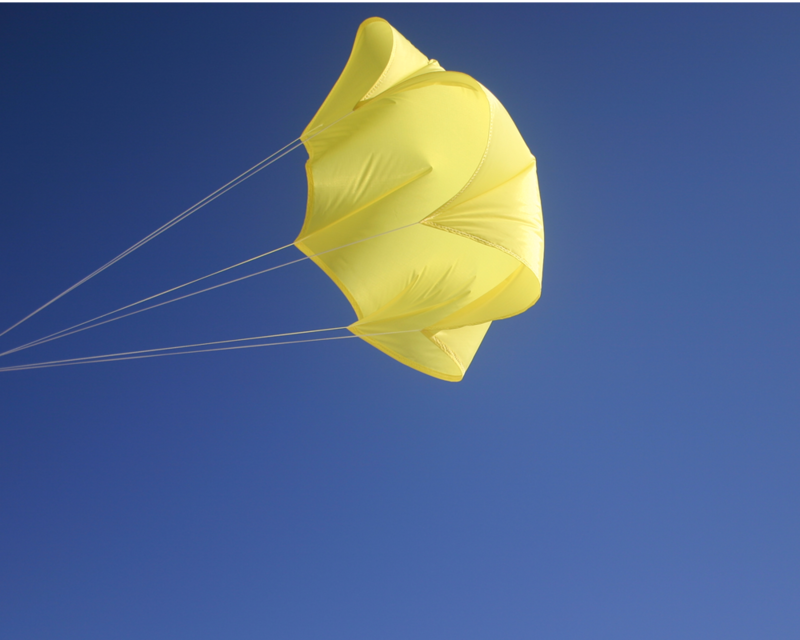 Chute sizes are measured across parallel sides, and shroud lines are approximately two times the canopy width. Due to differences in the nylon fabric, different colors weigh different amounts. Please note that the below weight measurements are averages. Featherweight Yellow (12" thin mill) weighs: 7 g.
Our chute protectors are constructed from a dark green Nomex© III fabric, as well as flame-resistant Nomex© thread. 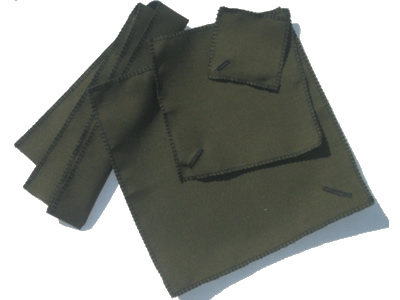 Edges and buttonholes are reinforced with stitches to prevent fraying. 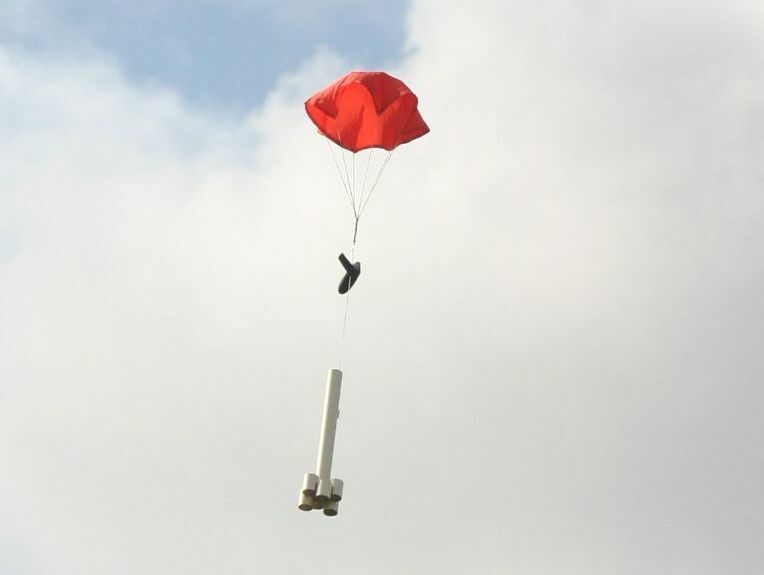 What Size Chute Do I Need? We provide the below table only as an approximate suggestion - please use your own judgment and consider your launch site before making a decision. Up to 60 g 12"
60 - 230 g 18"
230 - 430 g 24"
430 - 650 g 30"
431 - 1000 g 36"
1000 - 1300 g 42"
1300 - 1500 g 48"
At this time, we are only able to ship to United States addresses. We make every effort to ship products ASAP. Shipping (via the U.S. Postal Service) is low cost and includes tracking information. 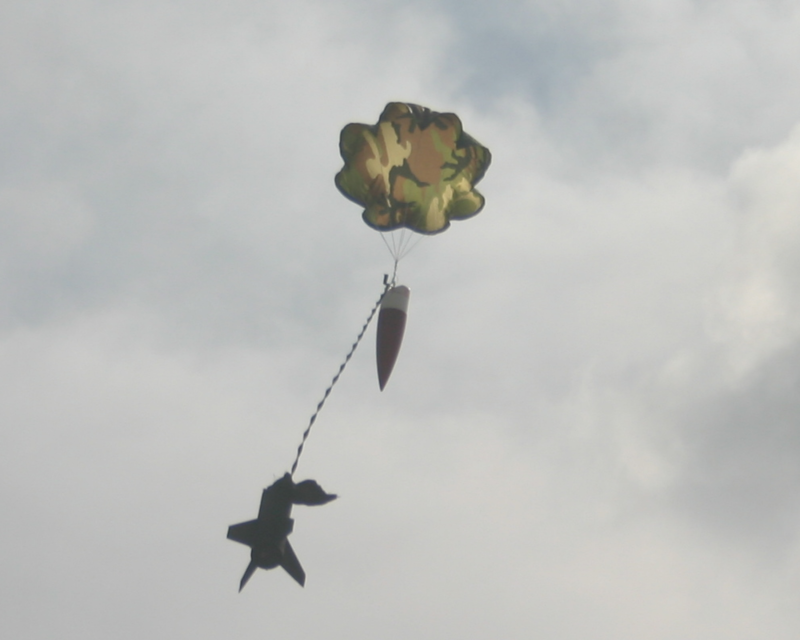 RocketChutes.com has been providing quality ripstop nylon parachutes since 2007, when a plastic parachute failed and ruined our favorite rocket. We pride ourselves on delivering excellent products both quickly and at a low cost.